Happy Friday! 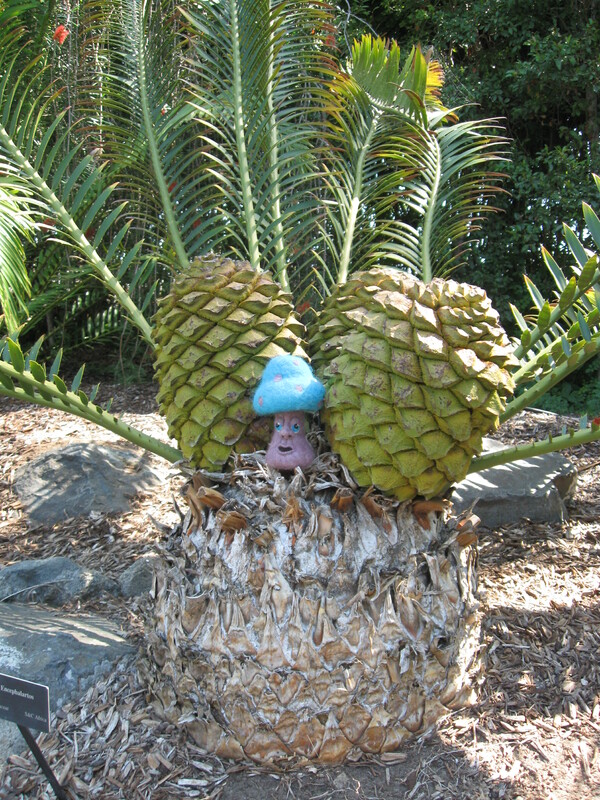 Woodland Whimsy will be very quiet this weekend. Both of the other humans who live here have things to do away from home. I will have a weekend of cleaning and creating. 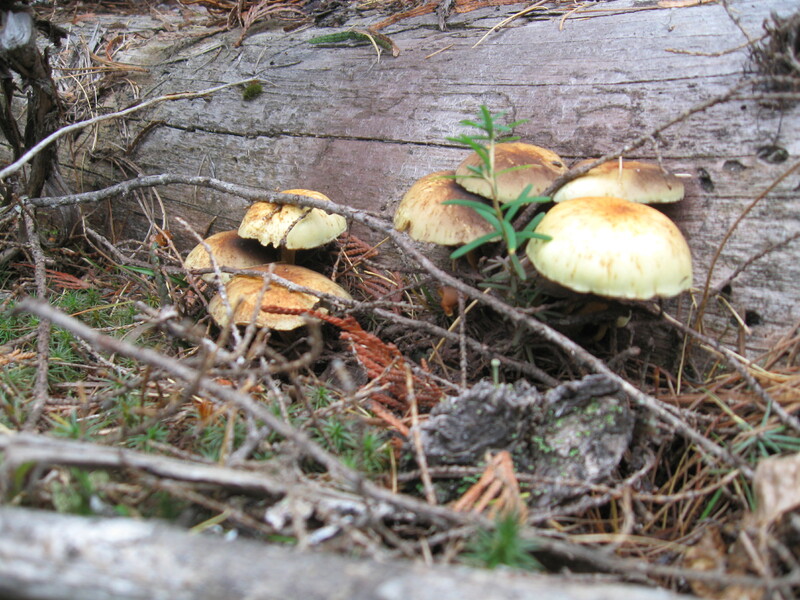 These lovely little mushrooms were photographed on our hike in to see the cabin that my in laws honey mooned in. It was a much shorter hike for us than it was for them. The road that got us close wasn’t there nearly 60 years ago. They got rowed across the lake and dropped off by the outlet of the creek that runs by the cabin. It was a four mile hike from there. Last summer several men got together and put a new roof (hand cut shakes) on the cabin and did some other refurbishing. It is nice that the cabin is not being left to fall into ruin. Happy Friday! I am running a bit late with this post today, but I am getting it done. 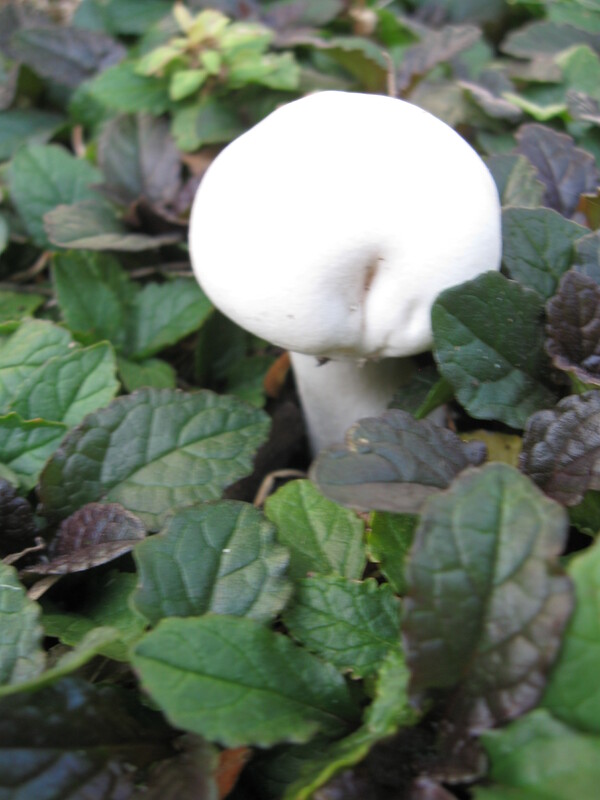 This mushroom photo comes from my very own garden! I live in the desert. I rarely have mushrooms growing. This one is quite different from the others I get from time to time. Happy Friday! We have some very new and exciting changes coming here at Woodland Whimsy. I’m not going to share them yet, but there is a big shaking up coming for us. 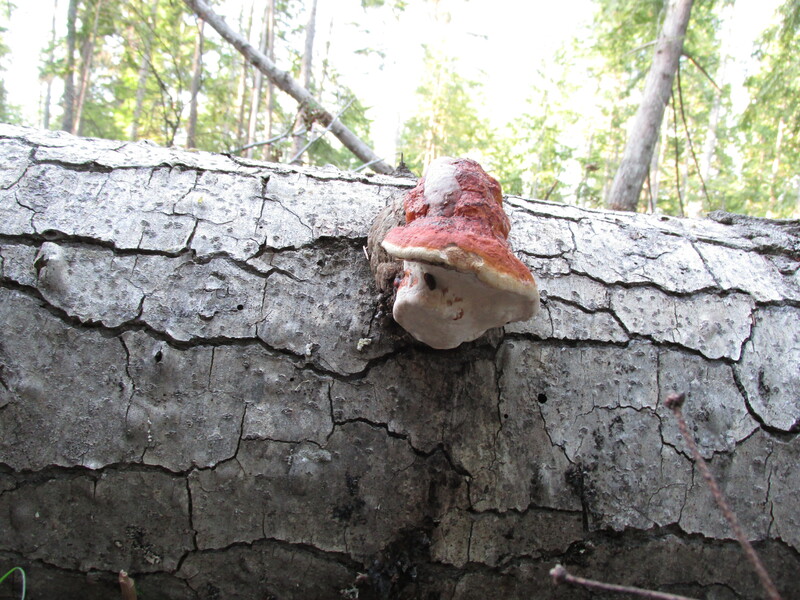 I love this fungus! He looks like he is wearing a jaunty hat. Happy Friday! A blessed Lughnasadh to those of you who are celebrating today. May you harvest be joyous and plentiful. 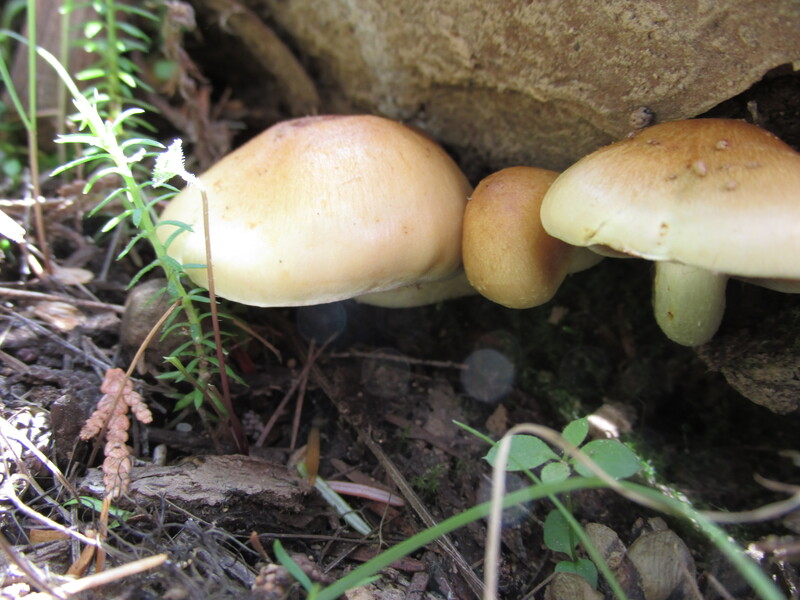 These lovely little mushrooms were squeezing up out from under a rock. They look like a sweet little mushroom family. Bonus! 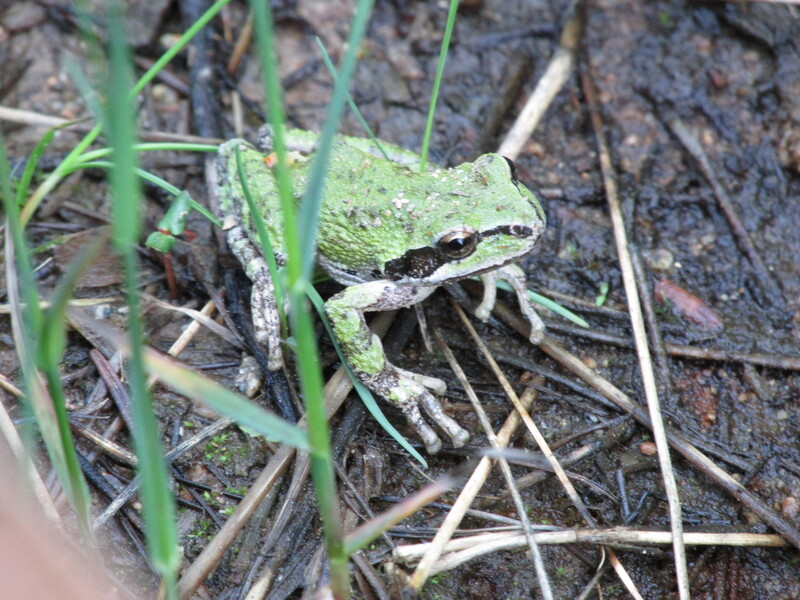 Froggy Friday, we saw this little guy on the same hike in the woods that we saw the mushrooms. I just love little frogs. 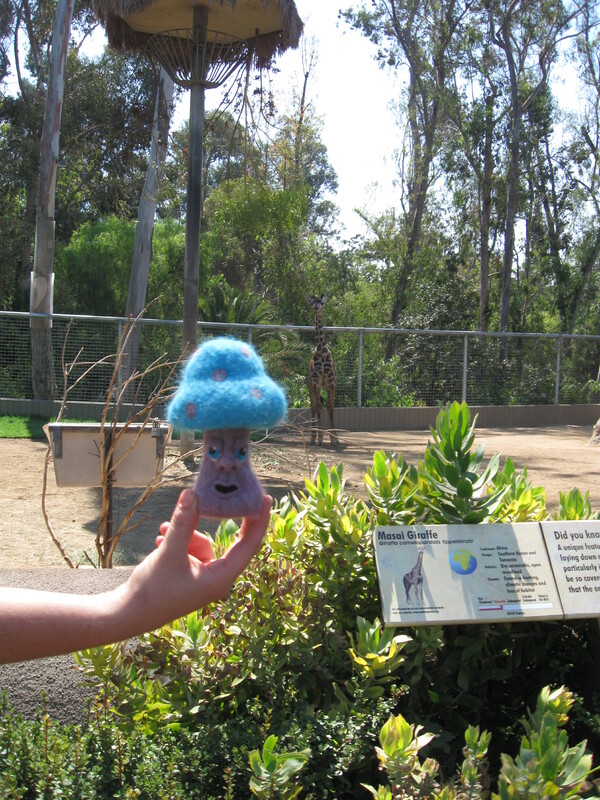 Thank you for joining Montrose and me for our continuing exploration of the San Diego Zoo. 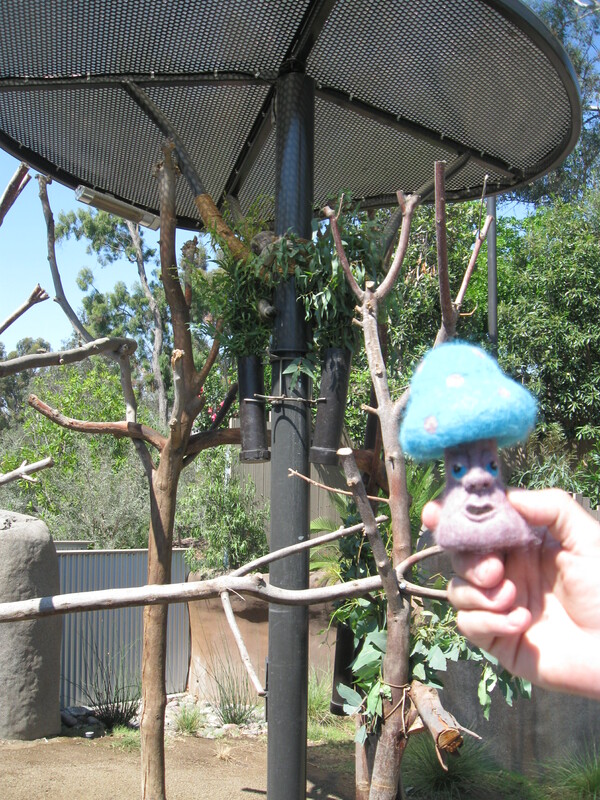 We went to see the koalas next. 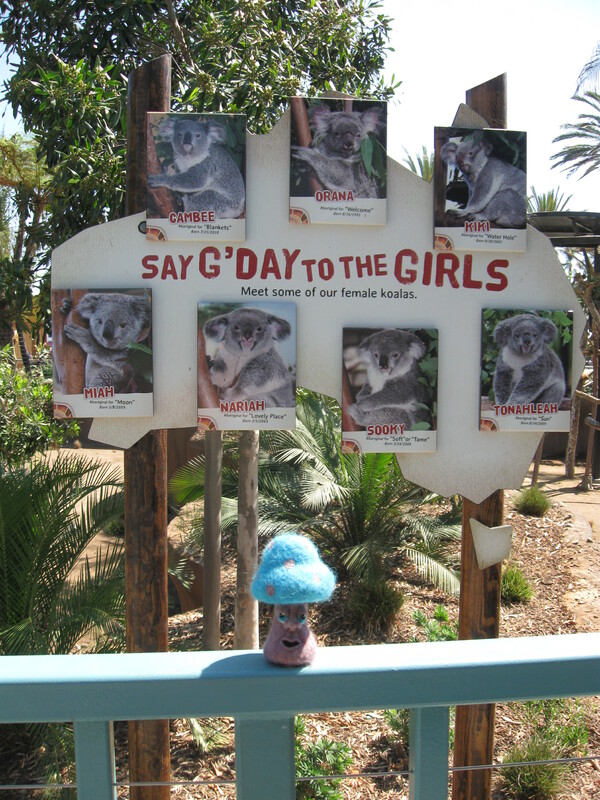 We were happy that they had photos and names for several of the koalas. They were mostly sleeping and were very difficult to see, let alone get a good photo of them. 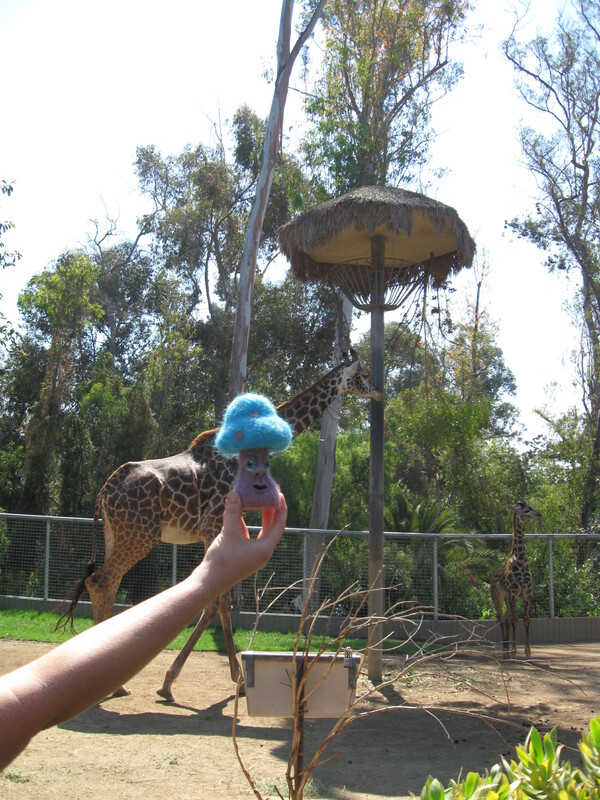 The giraffes were easy to see. They are so majestic. 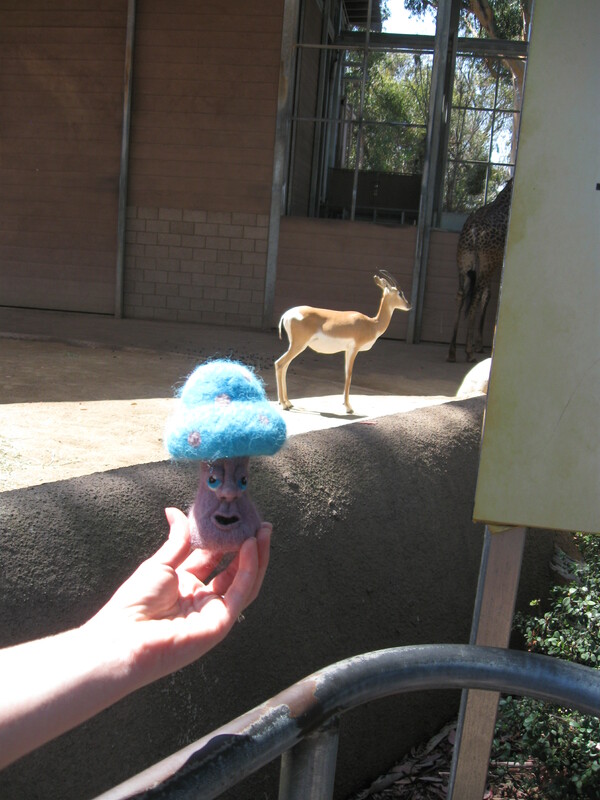 This antelope lives with the giraffes. 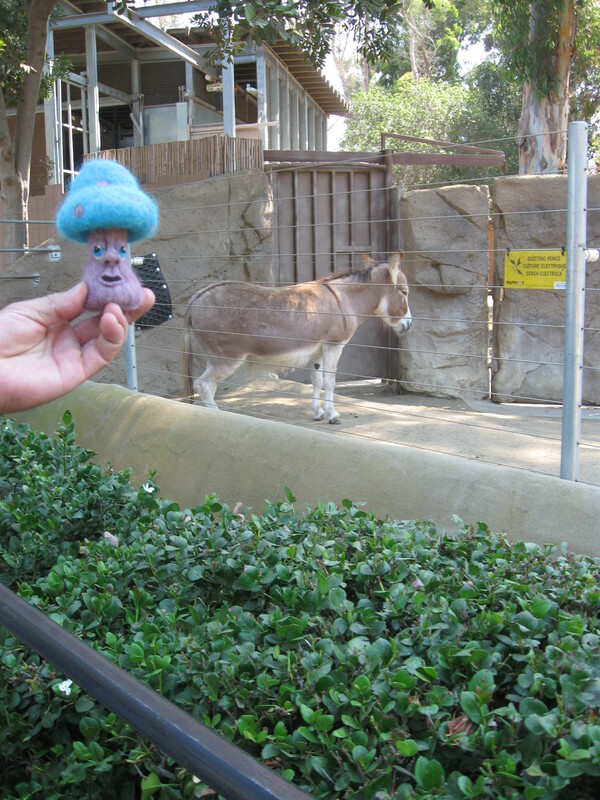 This little donkey doesn’t look happy to see us, but he sure was cute. 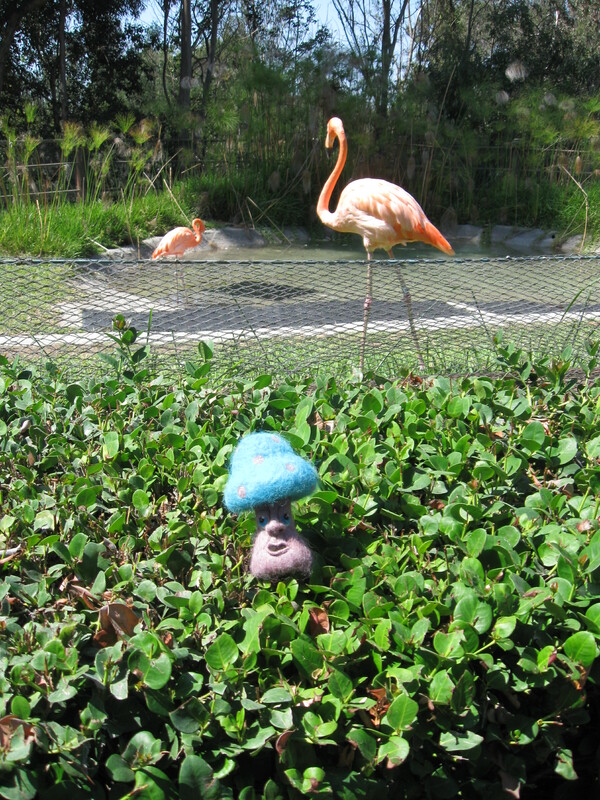 Montrose loved the flamingos! I had to explain to him that they really do not make good pets. Montrose enjoyed reading the information about the different animals. He thought the bears were very interesting. They had lovely enclosures with plants and caves. He was glad that they were far away. He is a bit afraid of bears. We hope you enjoyed part two of our zoo adventure. We are looking forward to sharing part three with you. 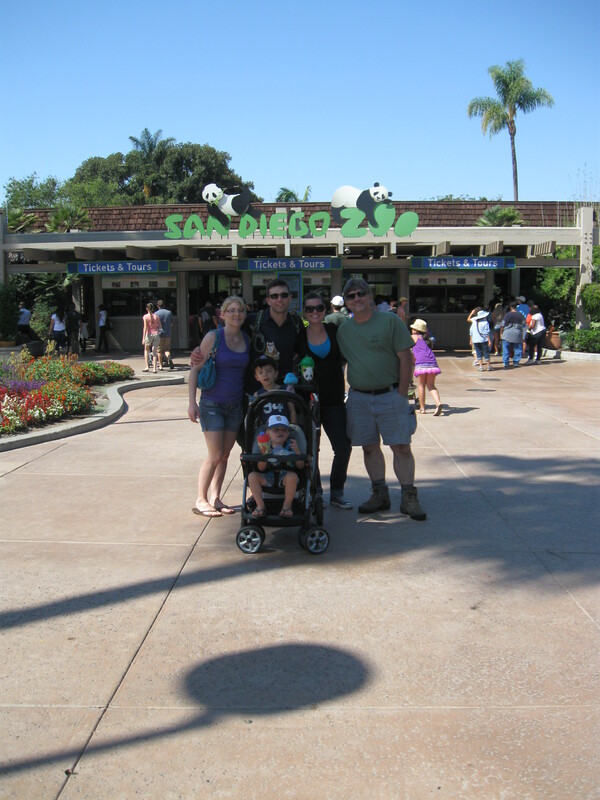 Last summer was my first trip to the San Diego Zoo. I went with two of my children, two grandsons, my daughter in law, my wonderful husband, and Montrose Mushroom. We were in for a long and wonderful day. Here is everyone before we went inside. It is very important to have a map so you know where you are going. 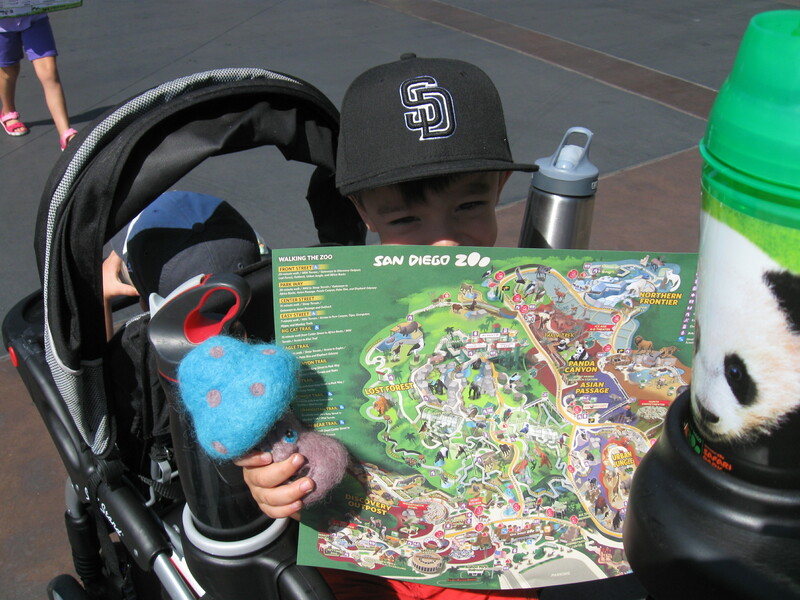 My grandson (3 at the time) was in charge of the map. He and Montrose studied it to see where we should go first. 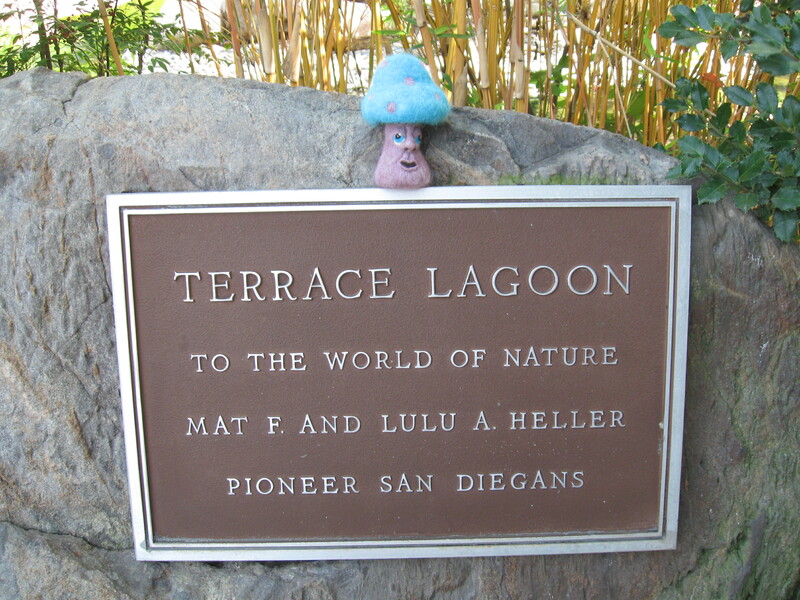 The Terrace Lagoon is a beautiful and peaceful area. 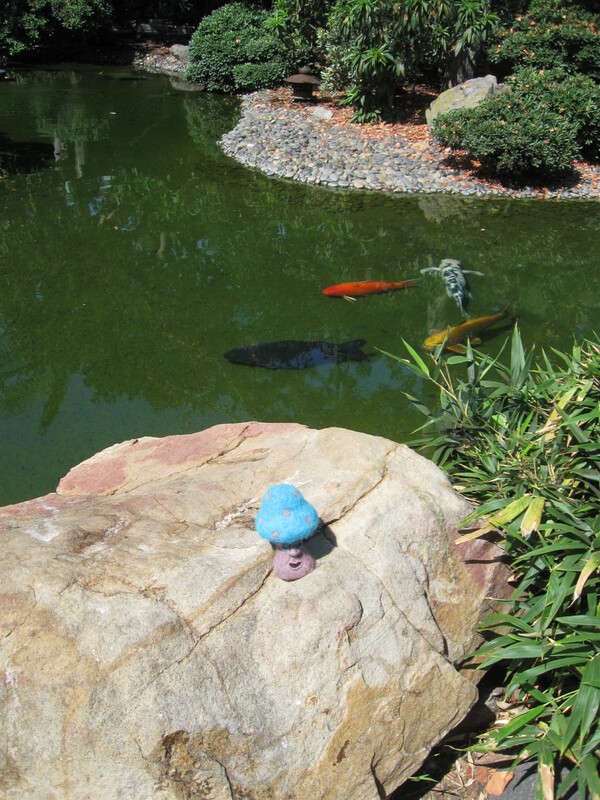 Montrose loved seeing the fish and the plants. 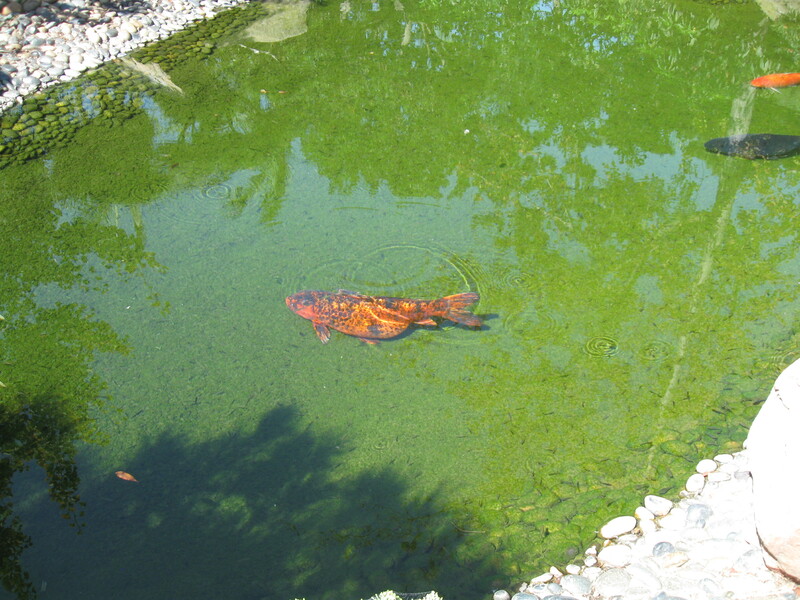 Montrose is sure that this fish was about to become a mother. It is difficult to pose with fish! 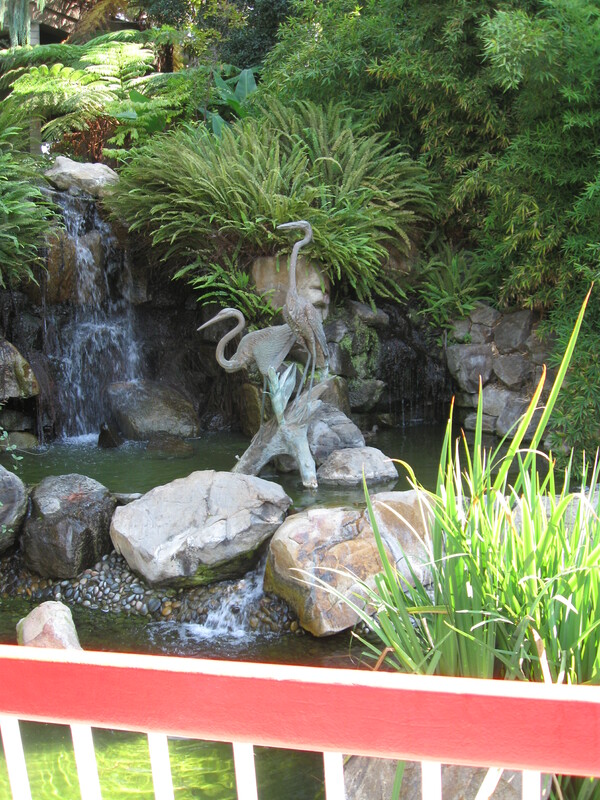 There are wonderful statues throughout the zoo. 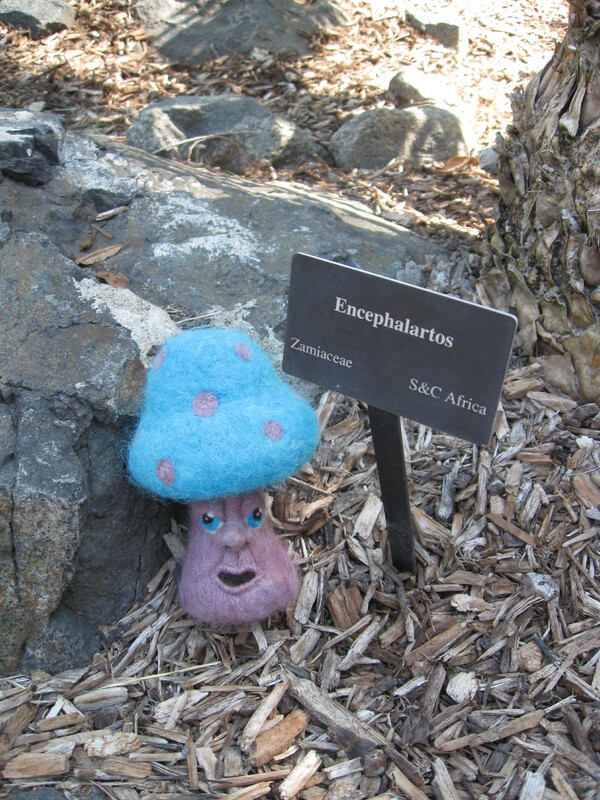 Many of the plants are labeled. It was fun being able to see what the names were and where they are from. 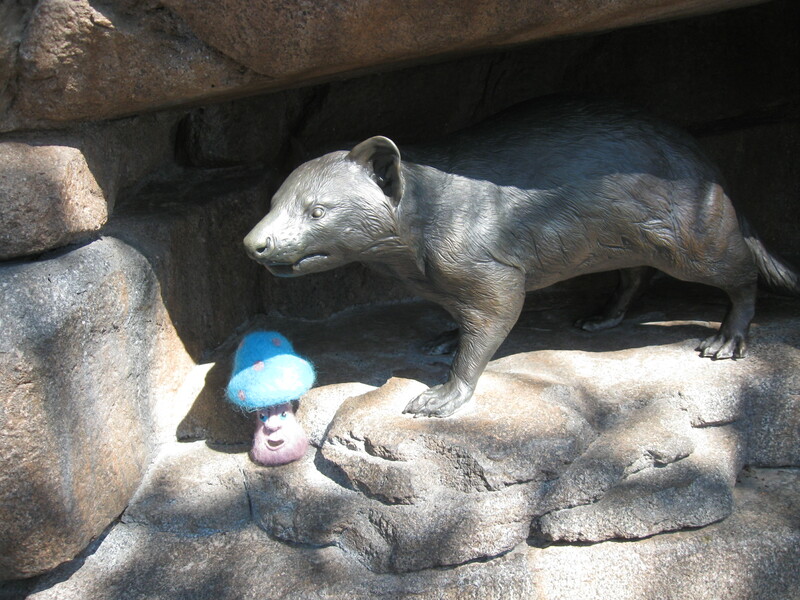 The Tasmanian Devil Exhibit was closed when we were visiting, but the information sign and this awesome statue were available for us to look at. 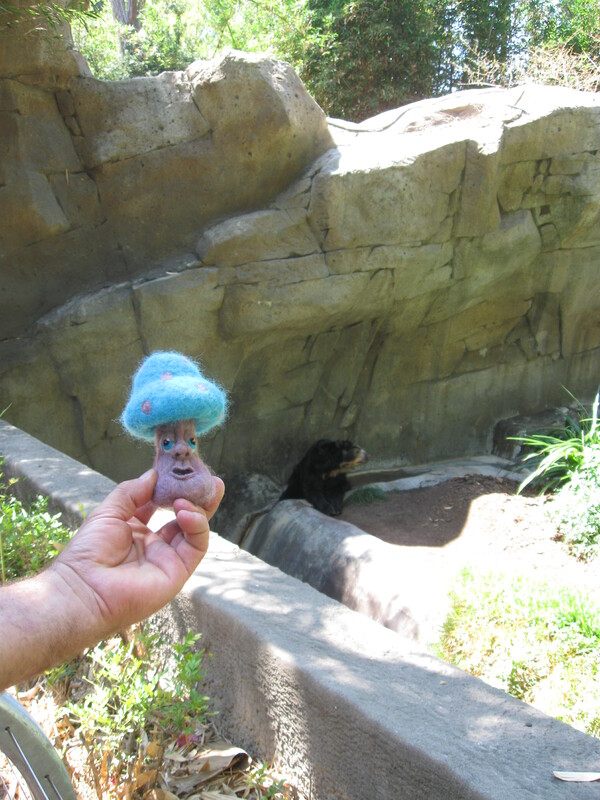 There are so many incredible things to see at the zoo. 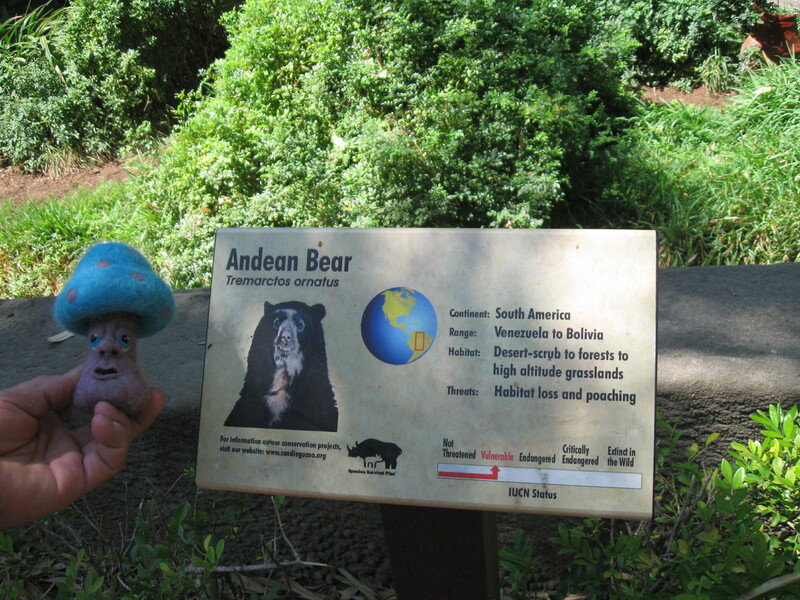 I hope you will join Montrose and me as we continue to share photos of our trip. Happy Friday everyone! I hope you are looking forward to a fun weekend. I know I am. There will be a lot of hard work, but I will be spending time with some of my favorite people. 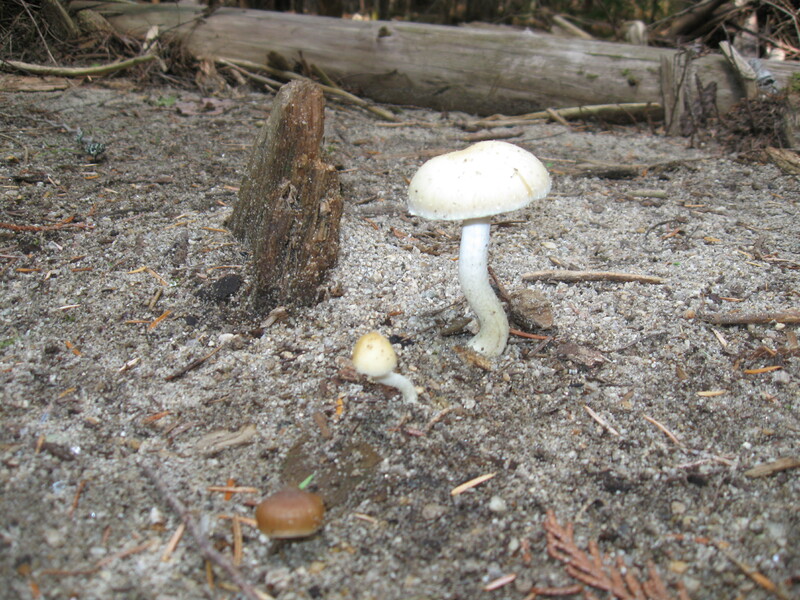 This photo was taken on a sandy river shore near Priest Lake, Idaho. These little mushrooms have so much personality. I wish I had been crafting with driftwood then, the piece in the photo is lovely.